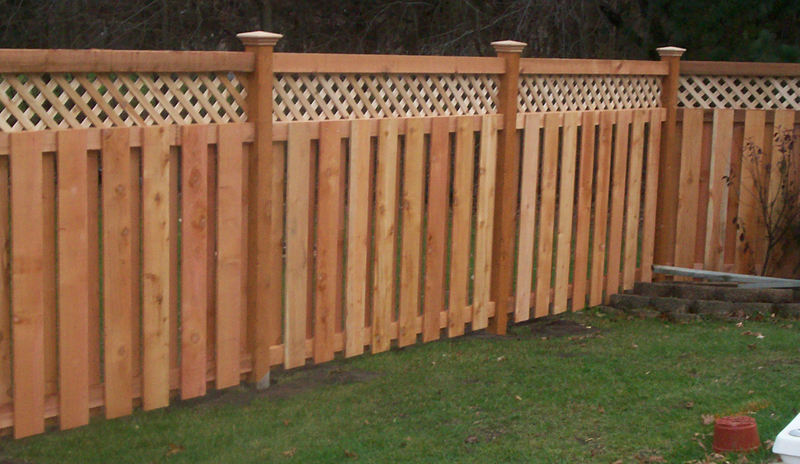 More often than not, when people think of building a fence, or having one built, they think of a wooden fence. 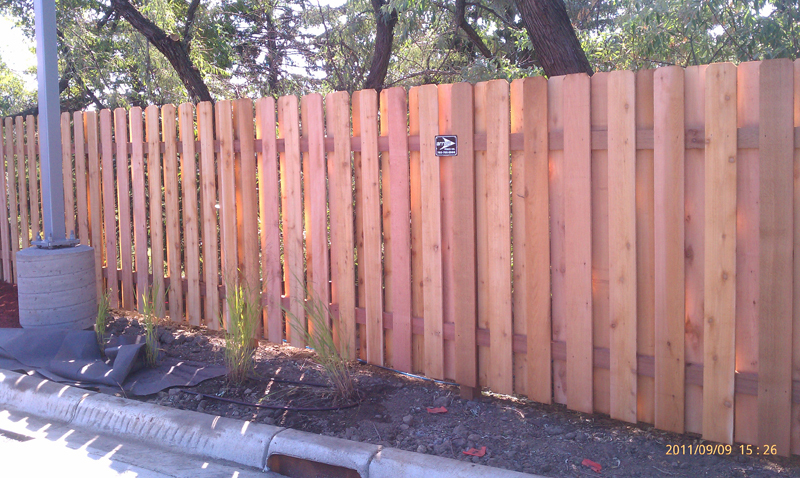 It makes a lot of sense as to why: wood fences are beautiful and functional. 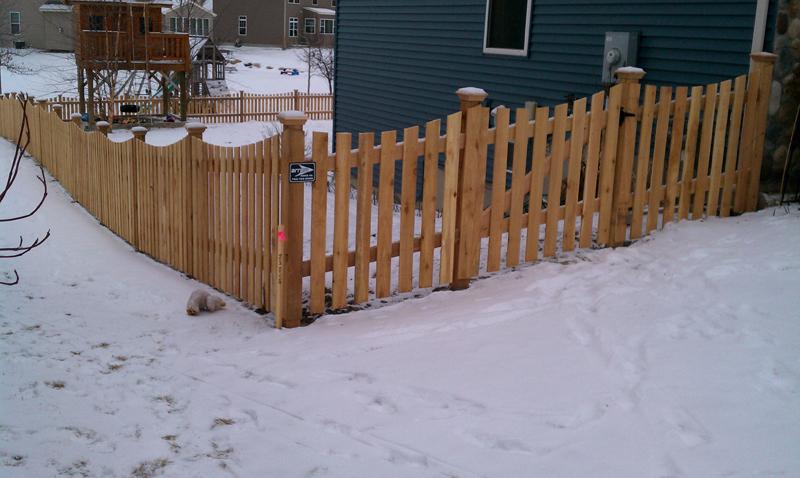 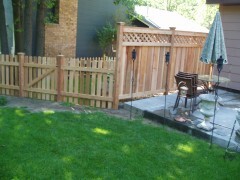 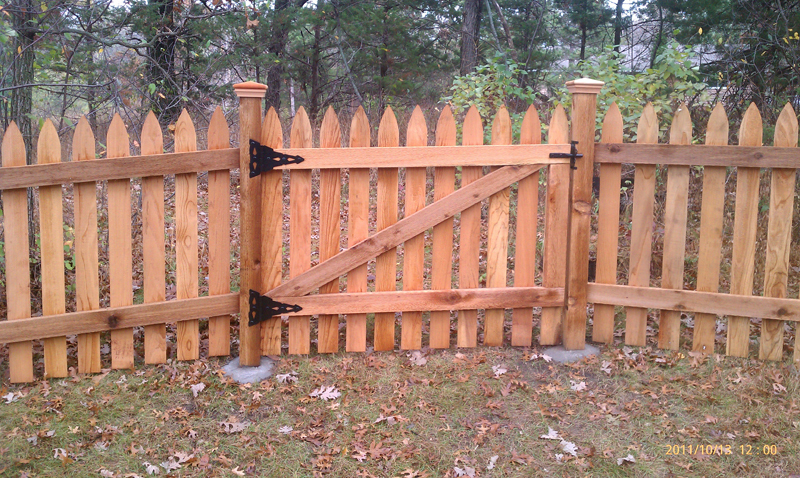 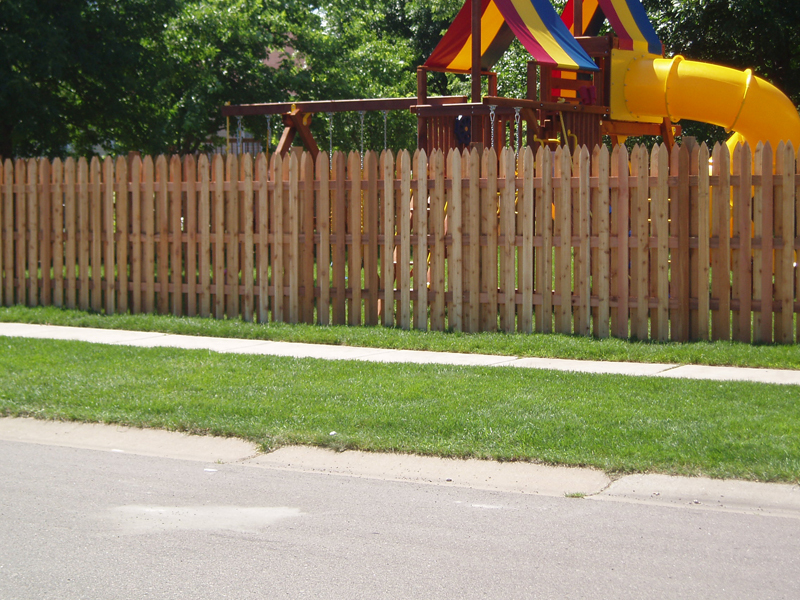 Arrow Fence Company builds and installs wood fences for homeowners all around Minnesota. 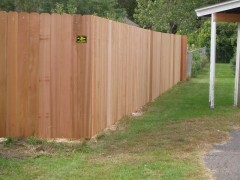 People want that natural feeling that wood fences bring. 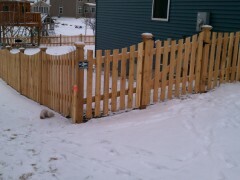 At Arrow Fence Company we make sure they get it. 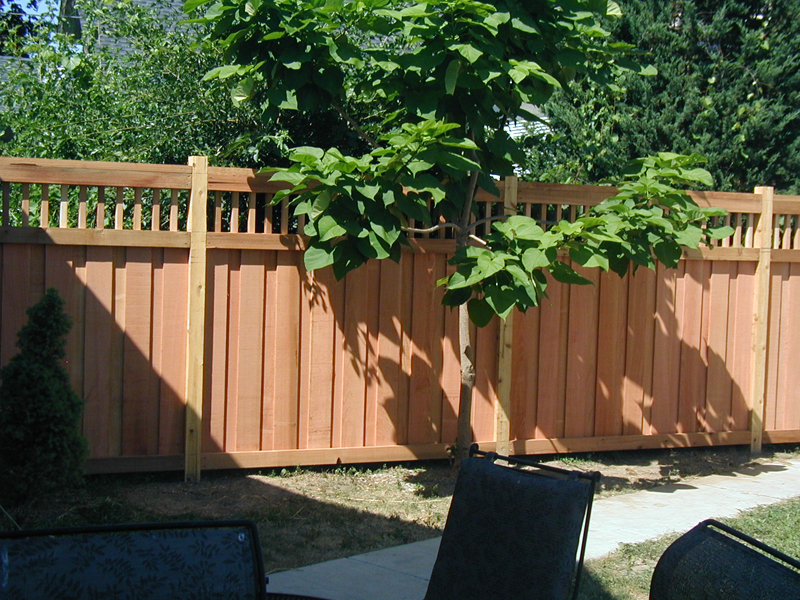 There are many different types and designs of wood fences that can be installed. 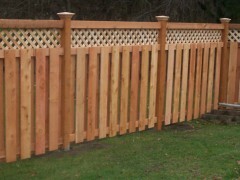 This makes wood fences incredibly customizable and unique. 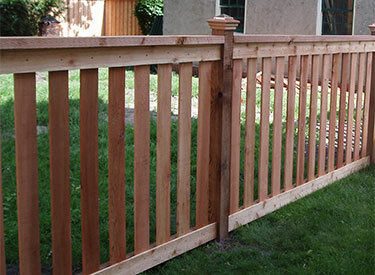 Not to mention that with wood, because it is a natural product, no two fence systems will look exactly alike, giving you a one of a kind fence for your home, cabin, or other property. 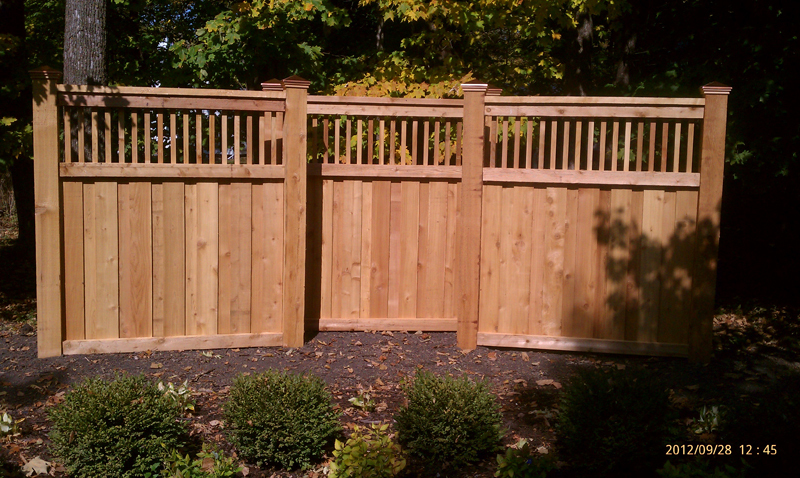 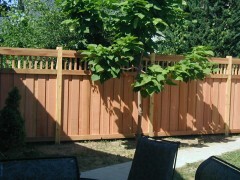 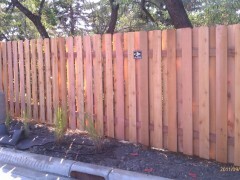 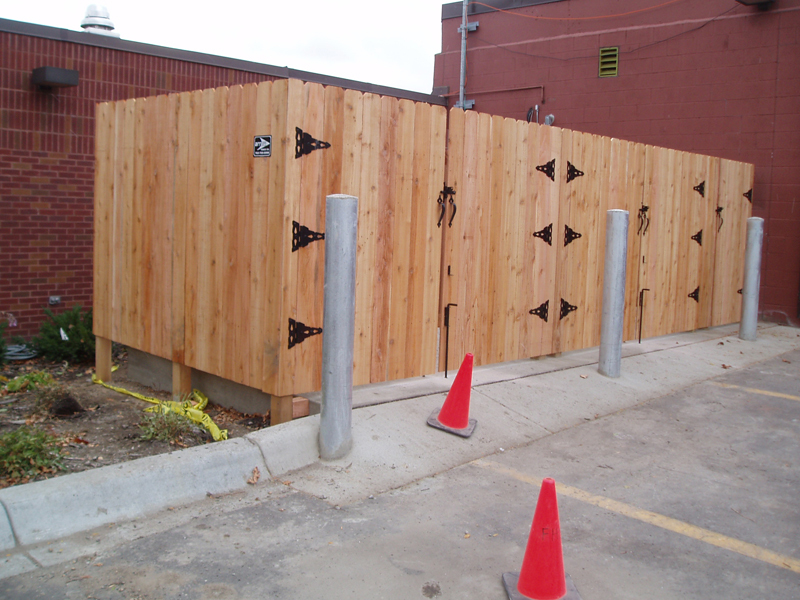 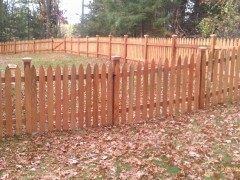 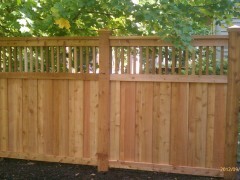 The wood fences that we install at Arrow Fence Company are all made with high quality cedar. 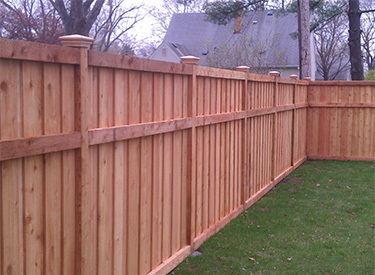 Cedar is by far the most common and popular type of wood used in fence building as it is incredibly durable, can stand out in the elements for years (a pretty good thing around here considering the winters we get in Minnesota), and is cost effective when compared to other species of wood. 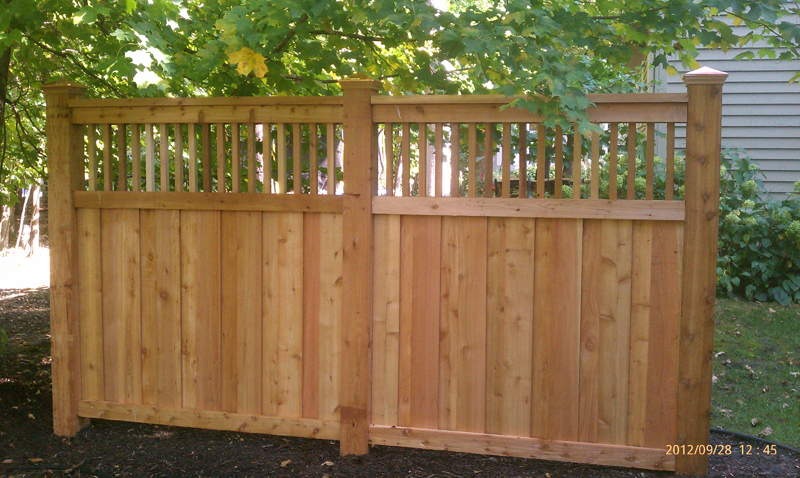 Also, cedar gives off a scent that deters bugs and insects from burrowing into the wood. 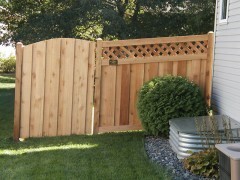 In all, there is no other wood you would want your fence built with. 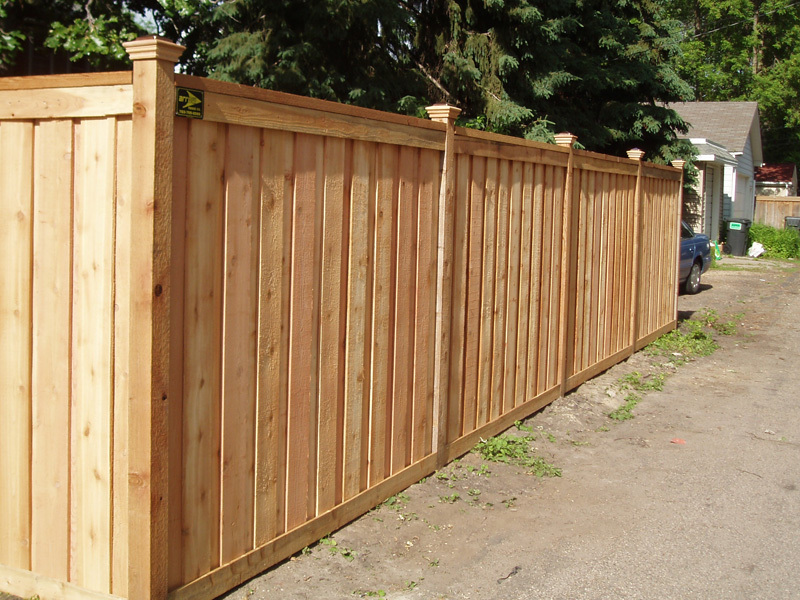 Cedar is king when it comes to fences and will give you the classic look that you want for your Minnesota property. 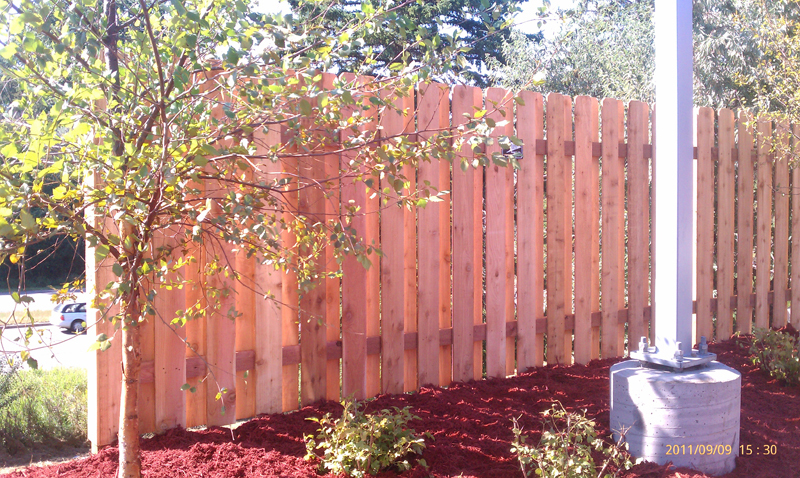 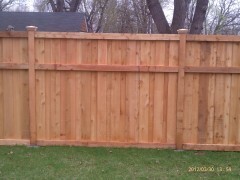 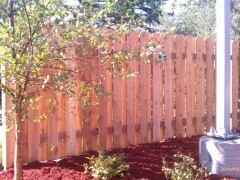 Below are the cedar wood fences that we at Arrow Fence Company work with every day in Minnesota. Wood privacy fences are a great choice for those who want to keep to themselves, or block out unsightly views from their yard. 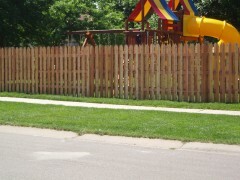 They can be built to any height and can be customized with a range of top options (toptions). 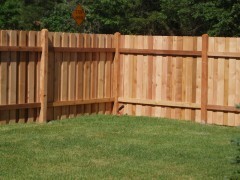 For anyone looking for a privacy fence, wood is hard to beat. 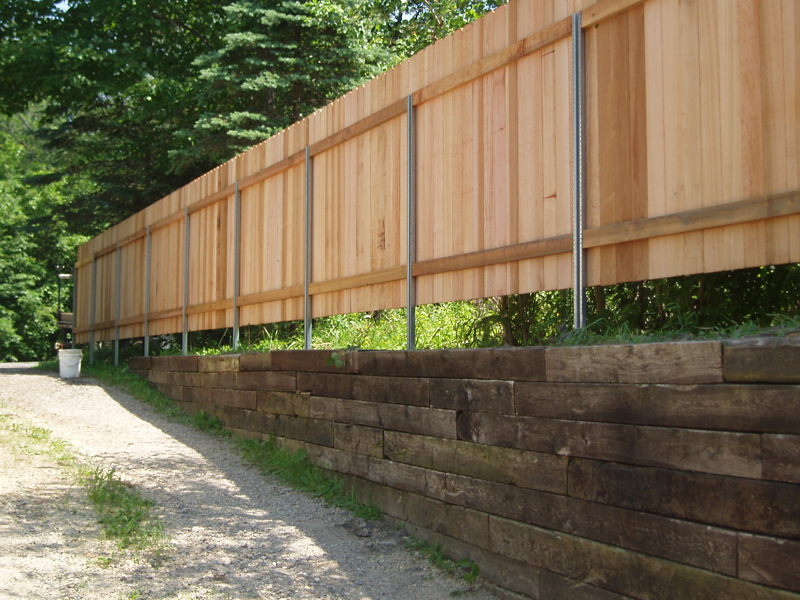 They can reduce sound and limit views, while also keeping animals (non-climbers) and people out. 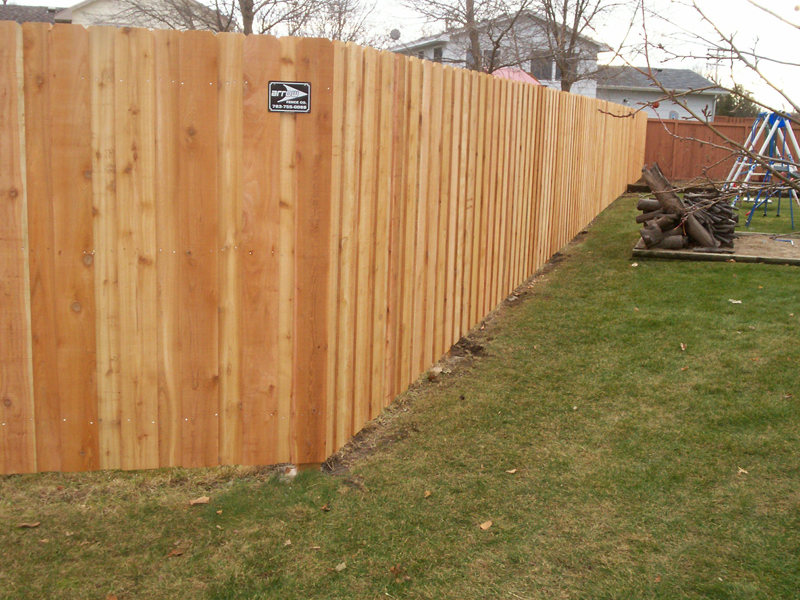 So if you’re thinking of a privacy fence for your Minnesota home, consider a cedar wood privacy fence from Arrow Fence Company. 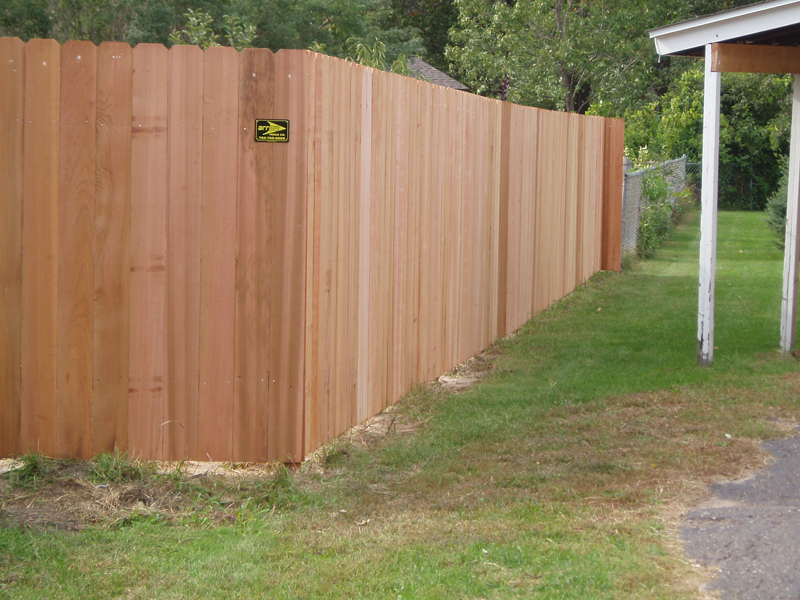 You will be happy you did. 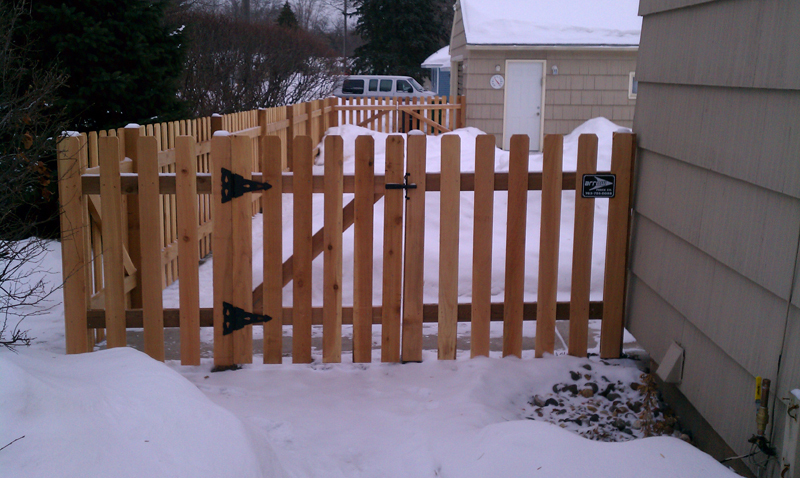 Decorative wood fences can come in a wide variety of styles, allowing homeowners in Minnesota to choose something that fits their style and their home. 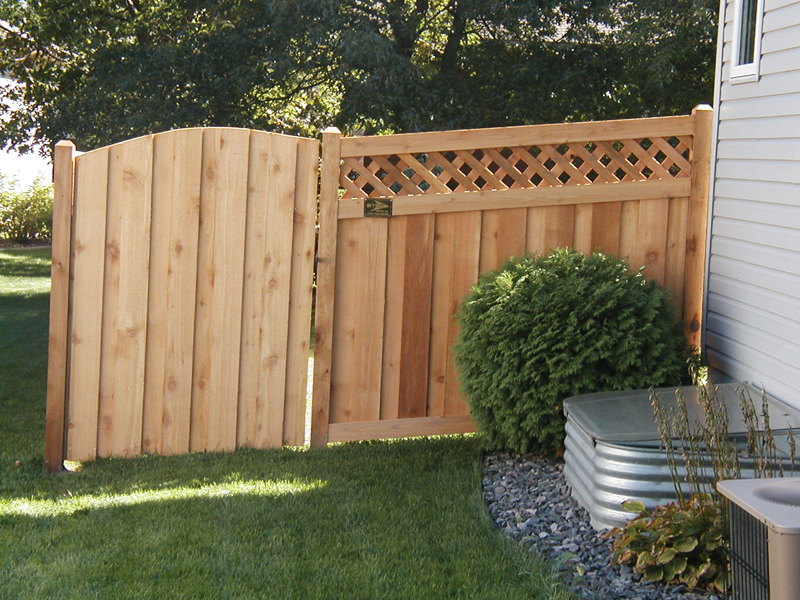 Depending on how tall a decorative fence is, and how close the slats are spaced, they could also be considered a semi-privacy fence or a picket fence as well. 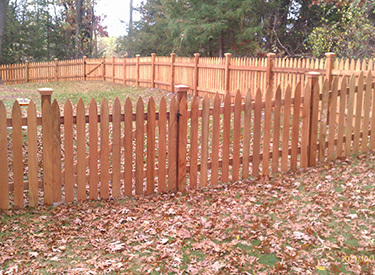 Decorative wood fences are essentially different variations of open and closed picket fences with many different sizes of pickets and post cap styles. 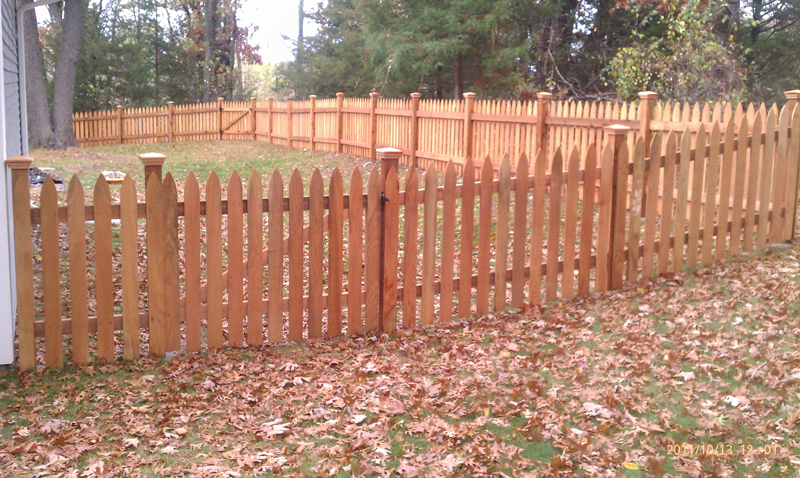 The difference between closed picket and open picket decorative fences refers to the tops of the pickets. 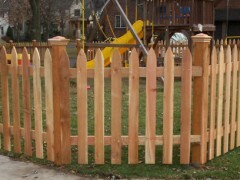 On an open picket fence the pickets stick up past the top rail like in the picture to the left, where a closed picket fence has the pickets framed in the fence and closed in at the top with a rail as shown in the picture above. 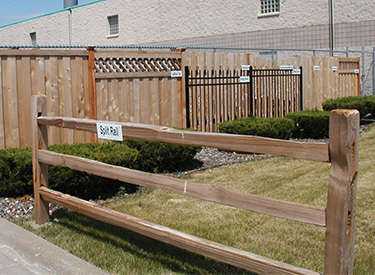 The tops can be unique for all of these types of fences. This style of fence is great for containing pets and young children while also staying low, allowing for an open feeling rather than a closed-off one. 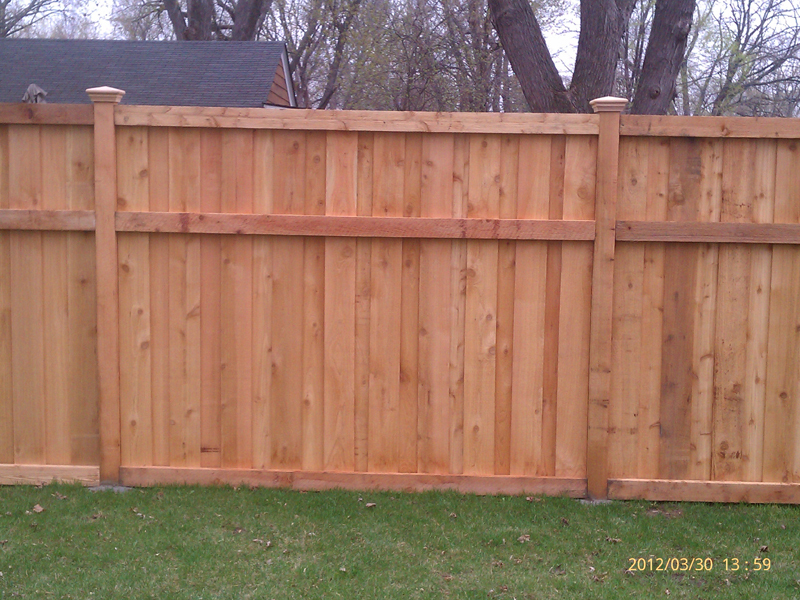 Basically, if you like your neighbors but your dog gets a bit excited, consider a cedar decorative picket fence for your Minnesota property. 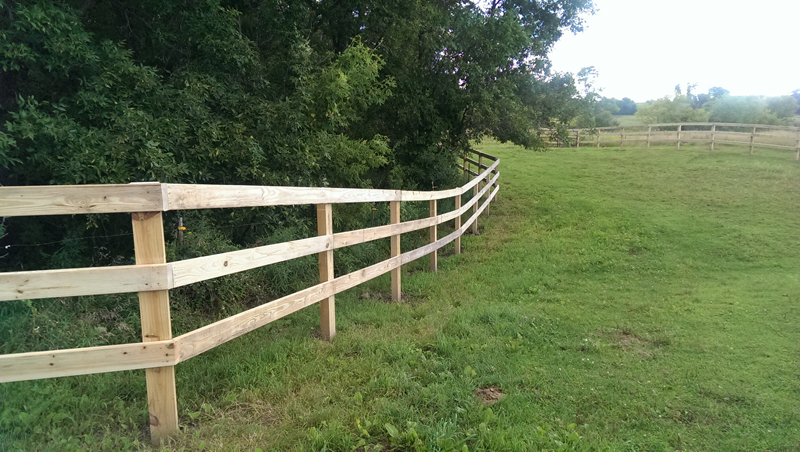 Split rail is a great product to identify a boundary line, enclose a septic system, or just accent your property. 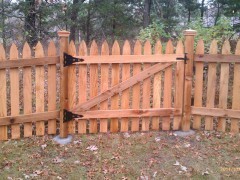 Split rail is a warm and beautiful alternative to chain link. Consider how a quality split rail installation accents today’s modern neighborhoods and then compare the charm and rustc good looks of this style fence to others. The choice is obvious. 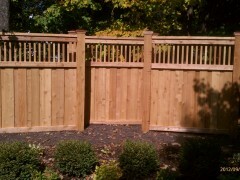 Surprisingly economical in price this beautiful fence will give you years of maintenance free service. 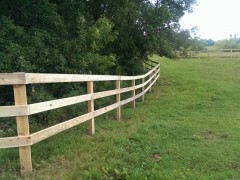 Split rail is the “no bother” fence. 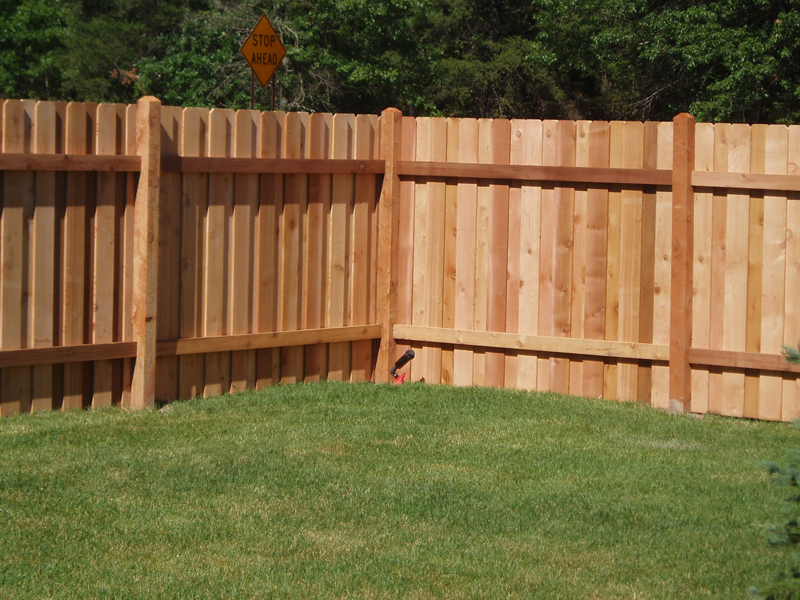 Just install it…then forget it. 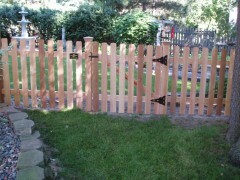 The grace of age will turn it an attractive silver gray color. 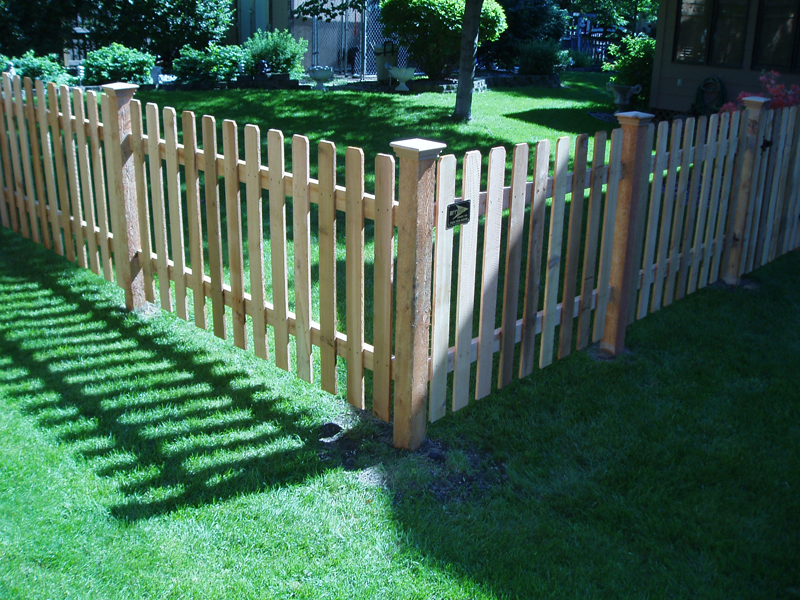 Split rail is available in 2 or 3 rail styles and wire mesh fabric can be added to guarantee the safety of children and pets. 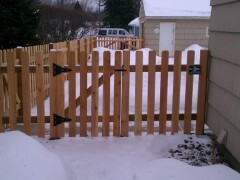 Matching gates are easily installed for convenient accessibility. So for all the right reasons choose split rail for your home. 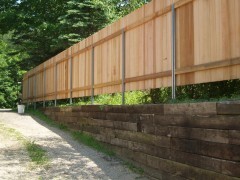 Arrow Fence Company installs many wood fences around Minnesota. If you have a specific idea for the fence you want and you didn’t see it above, contact us anyway as there’s a good chance it falls into a subset of one of the above categories. 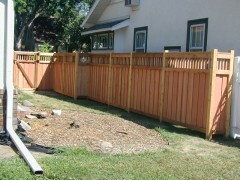 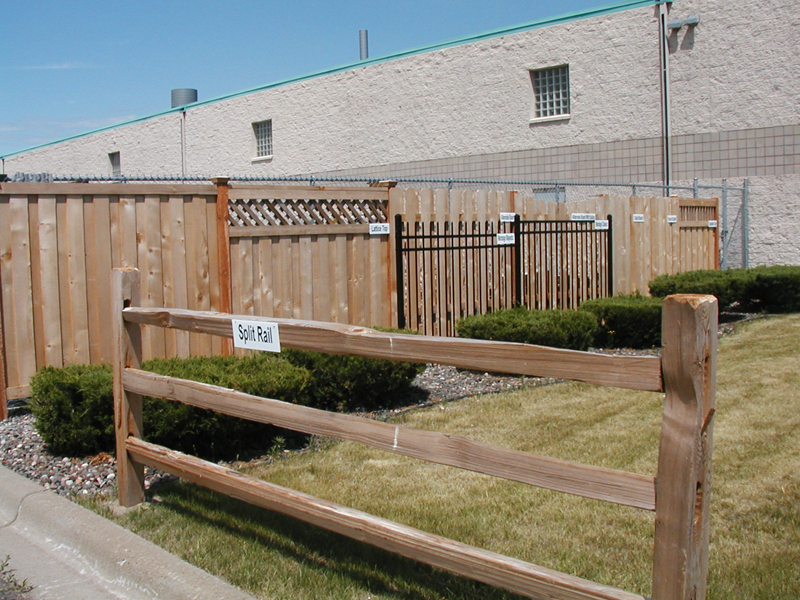 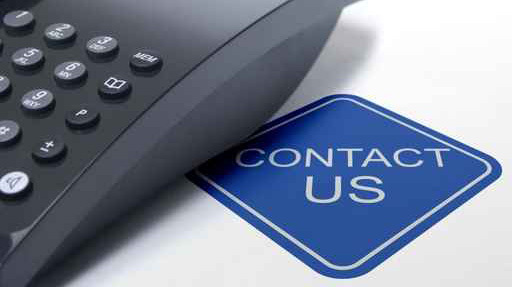 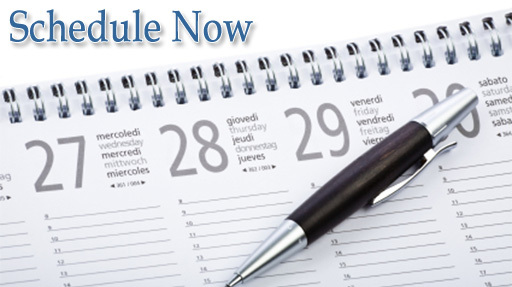 Call 763-755-0088 today for professional fence services and installation.